Nothing says antique french like the tufted Sophia Bed From Eloquence. Offered in King, Queen, or just the headboard in both King and Queen. 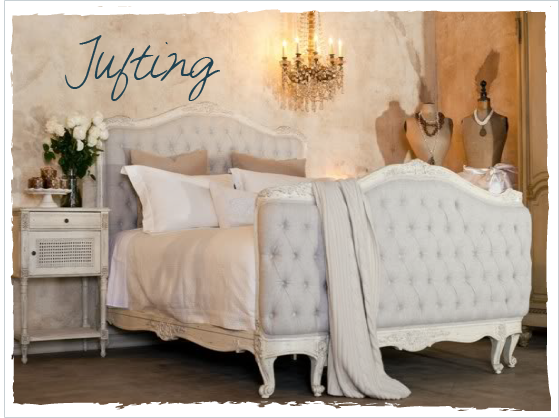 This gorgeous bed is painted in antique cream and upholstered in fog natural linen. The great part is the headboard only option, where the foot board is removed for small spaces or a bit simpler look. 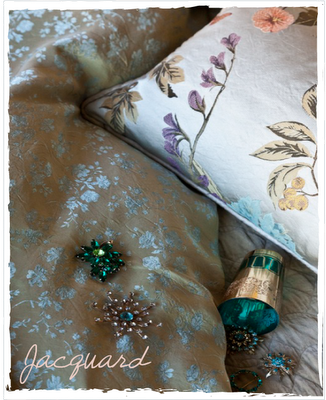 Now the bed must be dressed and we cant' think of a better line of easy care linens than Bella Notte. 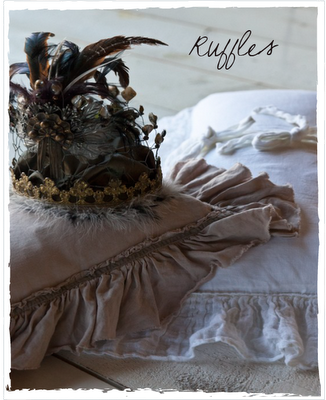 The unfinished edge of ruffles on the Allysa linen shams and duvet have a touch of velvet trim. 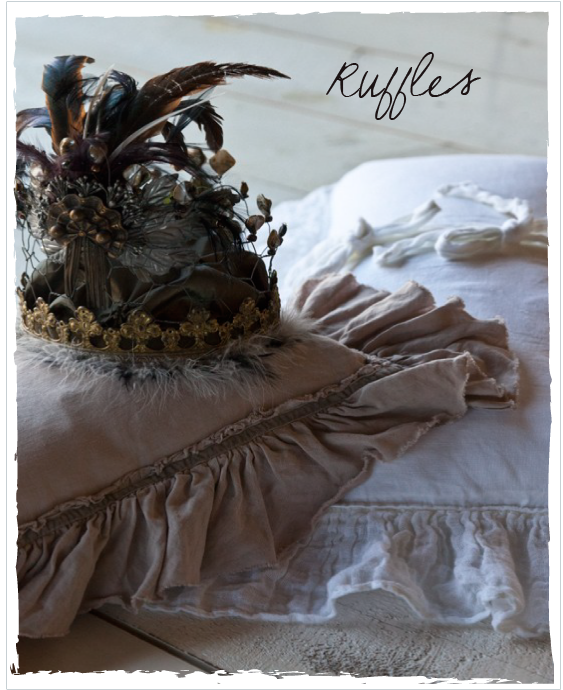 The delicate gauzy ruffle on Linen Whisper shams and duvet are delicate and feminine. 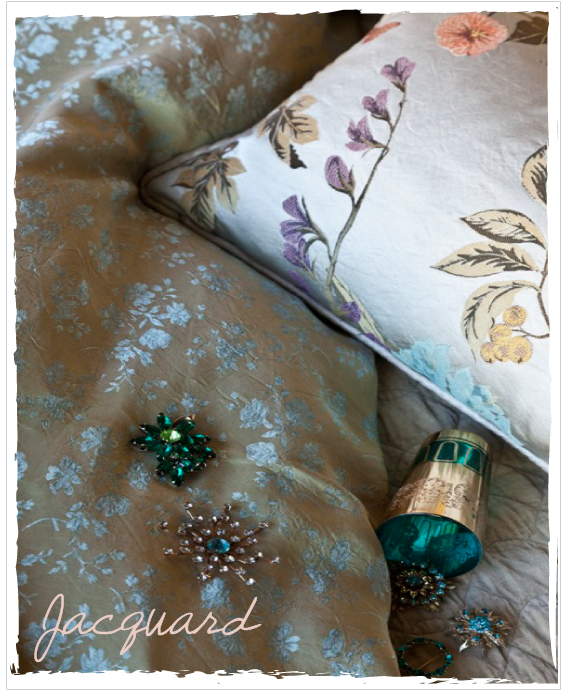 For something a bit more formal, Colette is a luxurious gold floral jacquard on satin and Adagio is an elegant blossoming jacquard offered in throw pillows and shams. Bella Notte is all machine washable and uses low impact dyes to better our environment.